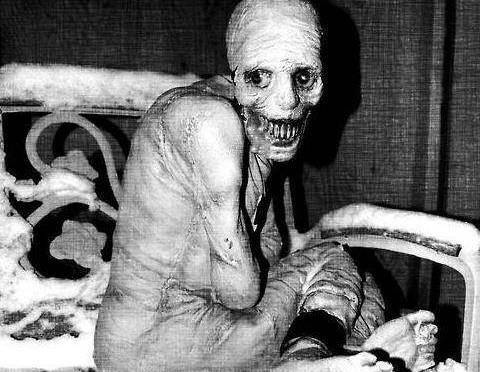 The cruel and creepy story of the Russian Sleep Experiment! 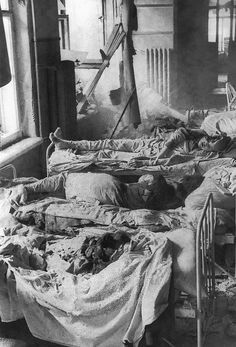 At the end of the 1940s, the Soviet researchers decided to test out what happens if one prevented people from sleeping and chose five inmates as guinea pigs. 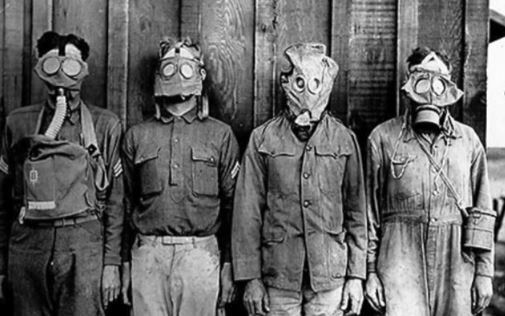 The researchers used an experimental toxic gas in high concentrations that was almost lethal. The experiment took place in a secret facility. There were no professional cameras to document the research, but the chambers had microphones and five inch thick windows, running toilet and water, some books, and enough food to last for all a month, but no bedding. The test subjects were prisoners of communism and were deemed enemies of the state in World War II. The inmates were convinced that if they would participate in the experiment and did not sleep for 30 days, they would be freed. The first five days the subjects did not complain because they were focusing on the freedom after the 30-day no sleep period. Their activities and conversations were monitored by the researchers. It was observed that they started talking about intense traumatic incidents from the inmates past, which was a sign of depression. Slowly their conversation began to become darker and darker after the fourth day. After five days of no sleep, the inmates started complaining about the events that got them where they were. All five people were demonstrating severe paranoia. Slowly they stopped talking to one another and began whispering to the microphones and the portholes. All the inmates started thinking that if they turned on their four other colleagues, they would win the trust of the researchers, and they would set them free. The researchers thought that all this was the effect of the gas they were dosed with. After day nine, the first inmate started screaming. He was running all over the chamber and yelling as hard as he could. After three hours of continuous screaming, he tore his vocal cords and was unable to produce anything more than occasional squeaks. What baffled the researchers was that all the other inmates were completely ignoring the screaming one. They just continued to whisper into the microphones. After a few hours, another patient started screaming, while two others started smearing pages from the books with their feces, sticking them to the glass portholes. After a while, the screaming stopped abruptly. Three days of checking hourly to see if the microphones were working, and the researchers were still not sure if the inmates were alive or not. The oxygen consumption was indicating that they were, but the fact that no sound was coming from inside the chamber was stating that they were not. Two days later, on the fourteenth day, the researchers decided to use the intercom inside the chamber in the struggle to get a response from the inmates and to see what had happened to them. The researchers decided to flush the room of the gas and open the chamber. After they had taken the gas out, the inmates started screaming and begging, pleading to have the gas turned back on. The chamber was then open to retrieve the test subjects. When they opened the door, the inmates started screaming and so did the soldiers when they saw the insides of the chamber. Four of the test subjects were still alive, but they did not look as if they were. 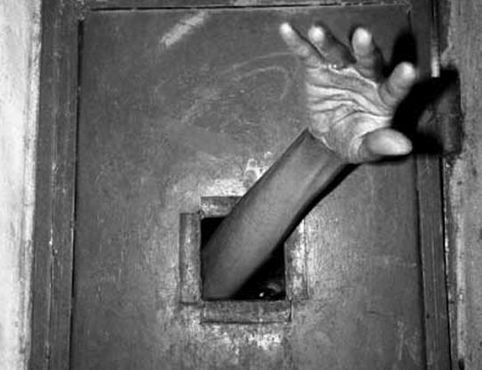 The inmates tore away skin and muscles from the dead test subject and stuck it into the drain of the chamber, allowing for water to accumulate on the floor. The remaining test subjects were in dreadful conditions, with meat hanging from the bone, exposing the ribcage and their lungs. The wounds they suffered were self-inflicted, the blood vessels were removed and placed on the floor, along with other organs. The digestive system remained intact, but because they did not consume the food that was given, it was evident they ate their own flesh they ripped off themselves. Most of the soldiers did not want to go into the chambers to remove the test subjects that were screaming uncontrollably. They continued to scream and beg to be left alone inside and to turn the gas back on. Everyone was amazed of the fierce fight the inmates put to remain in the chamber. One of the soldiers even died having his throat ripped off. One of the test subjects died during this process, but the other that survived were heavily restrained and moved into a medical facility. The subjects that survived had to undergo a surgical procedure to replace the organs they had removed, but it was impossible. The inmates were immune to the anesthetic, and the doctor could not perform the surgery as the patients were moving around. In the end, they decided to put the remaining test subjects back in the chambers. When the inmates were brought back to the chamber, the commander that was supervising the research decided to trap three scientists inside. One of the three researchers pulled out a gun and shot the commander between the eyes and then pointed the gun at one of the test subjects. The test subject started laughing. After that, the researcher shot the test subject. There are no precise details about where exactly the experiment took place and if they attempted it ever again. What is clear is that this Russian experiment was a complete disaster that revealed horrind and bloodcurling facts regarding the nature of the human kind. 7 of The Scariest Creepypasta Stories!